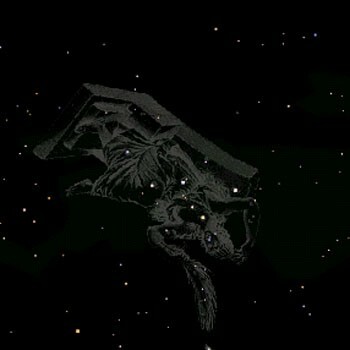 She was the wife of Cepheus and also mother of Andromeda. Cassiopeia made the mistake of bragging that she and Andromeda were the most beautiful people in the world. This offended the gods. They demanded that Andromeda be sacrificed to a monster that Neptune would send. Instead Perseus killed the monster. 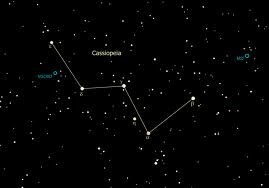 The constellation Cassiopeia includes four stars. 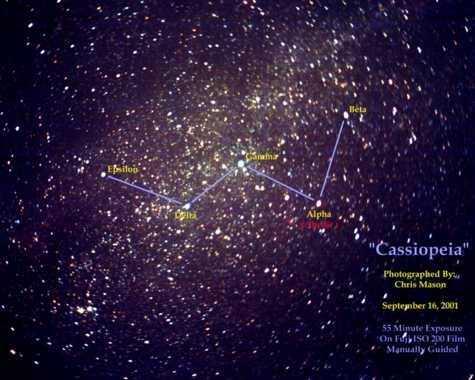 This is the five stars of Cassiopeia and near by stars.